Afghanistan! To many an uncivilized land of terror and hatred. To others a land of intrigue and adventure. A land where few dare to tread. Go with Walter Gurney, the seventeen-year-old orphan son of a British missionary in India, who, after meeting handsome, boastful Dermot Denis, joined him on a trip into Afghanistan. Negating the danger of such a perilous trip, Walter eased his conscience with the thought of evangelizing. Infected with the exultation of his companion, nothing for the time seemed more enjoyable than this wild foray into a dangerous land. Yet within a few days they were surprised by a brutal group of Pathan Afghans. Despite his companions ridicule and the danger lurking in his path Walter knew that nothing could separate him from the love of Christ. Gods will always comes to pass and as Gods child he was safe in the arms of his Saviour. Will Walter be able to hold on to this faith when pressed by a Moslem Holy man? 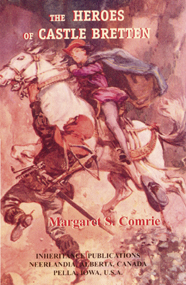 Will Sultána, the daughter of the chief, be able to help him and her people in the Eagles Nest? Witness with Walter the blessings of God in bringing His Gospel to hungry hearts in ways unimaginable by men. 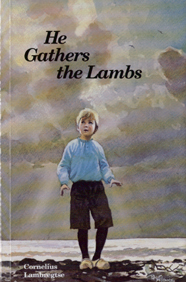 A moving book, written not only with deep insight into the ecclesiastical, religious, social, and historical situation in which the story takes place, but also with a warm, rich understanding of a child's soul. Every page of the book carries proof that it was eked out of the author's own experience. It is written from the inside out, and the people who appear in it are flesh-and-blood people as they walked the streets of southeastern Zeeland. Zeelanders with a mystical character . . . who had great difficulty appropriating in faith the redemptive deeds of the covenant God. R. M. in Chalcedon Report: This book is about an illegitimate girl whose mother died when she was born, and no one knows who her father is. She grows up in an orphanage, and she goes through many hardships and is treated poorly because she is illegitimate. The few people she loves are taken away from her. Because of all her trials, she thinks God is against her, and so, in rebellion, she refuses to go to church or pray. However, the prayers of an old man who loves and prays for her are answered and she realizes . . . a wonderful story. Eleonore, Lady of Castle Bretten, has been alienated from her friends and allies by false rumours spread by her nephew, General Lucas von Ruprecht, Count of Zamosc. When Guido, a young Protestant, comes to live at the castle, he wins the love and trust of Lady Eleonore and Felix, the General's son. With lots of excitement and action Guido and Felix uncover a plot to gain control of the castle. Nobody's Boy, published in France under the title Sans Famille, has become justly famous as one of the supreme juvenile stories of the world. In the midst of its early popularity, it was crowned by the academy as one of the masterpieces of French literature. 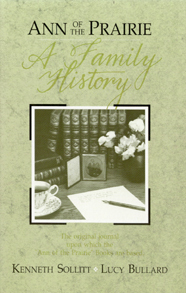 A few years later, it was followed by En Famille, which was published in English as a companion story under the title Nobody's Girl. Nobody's Boy is a human document of child experiences that is fascinating reading for young and old. 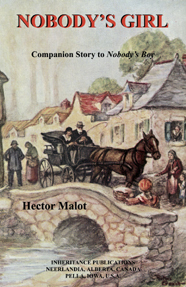 Parents, teachers, and others, who are careful to have children read inspiring books, will welcome this beautiful story of Hector Malot, as among the best for them to recommend. Such digressions in the original as do not belong to the heart of the story have been eliminated, so that the lost boy's experiences continue as the undisturbed interest, on through to the happy conclusion. Loyal friendship and honest conduct are the vital ideals of this story, and the heart interest is eloquent with noble character. 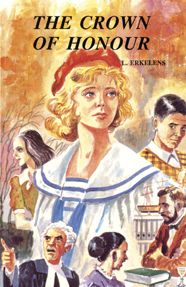 Nobody's Girl, published in France under the title En Famille, follows Nobody's Boy as a companion juvenile story, and takes place with it as one of the supreme juvenile stories of the world. Like Nobody's Boy it was also crowned by the Academy, and that literary judgment has also been verified by the test of time. Nobody's Girl is not a human document, such as is Nobody's Boy, because it has more story plot, and the adventure is in a more restricted field, but it discloses no less the nobility of a right-minded child, and how loyalty wins the way to noble deeds and life. 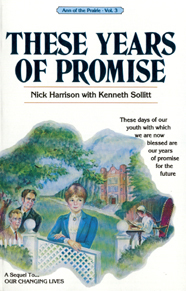 This is another beautiful literary creation of Hector Malot which every one can recommend as an ennobling book, of interest not only to childhood, page by page to the thrilling conclusion, but to every person who loves romance and character. Only details irrelevant for readers in North America have been eliminated. 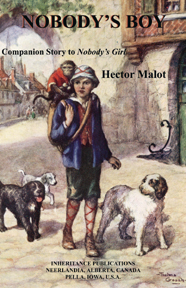 Little Perrine's loyal ideals, with their inspiring sentiments, are preserved by her through the most discouraging conditions, and are described with the simplicity for which Hector Malot is famous. The building up of a little girl's life is made a fine example for every child. Every reader of this story leaves it inspired for the better way. 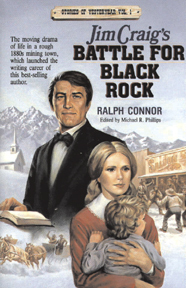 Another compelling tale of the Canadian West in the late 19th century by Ralph Connor. Meet Bronco Bill . . . Hi Kendal . . . the Duke . . . the Old Timer . . . and of course Gwen . . . and discover why the impact of "the Sky Pilot" was far different than any would have expected. The moving drama of life in a rough 1880s mining town and lumber community. 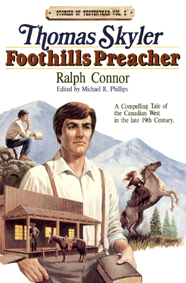 A compelling tale of the Canadian West in the late 19th century by one of Canada's most popular authors of the beginning of the 20th century (the author was a Presbyterian minister/missionary who has been there!). 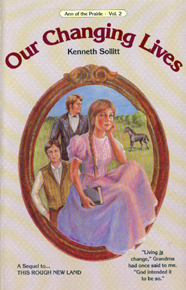 The third most popular novel of the 19th and early 20th centuries, St. Elmo captivated millions of readers and generations of schoolgirls but lost popularity as Americans strayed toward the 1960s. Nowadays readers keep telling us that once started, nothing else gets done until they reach the end. 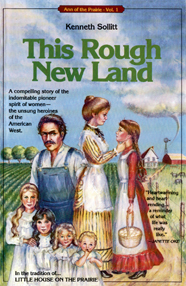 Hundreds of grateful readers wrote Miss Evans that the book led them to see their need for salvation. Few books are both sensational and Christian; Augusta Jane Evans succeeded on both counts. Ideal as gifts to daughters and mothers. A disturbing, unsettling vision (some would call it nightmare) of the future. A chilling story that will rivet your interest, leave you with questions about moral and political trends in American life today. 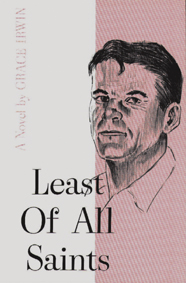 In this novel Grace Irwin has brought into vital focus the kind of religious conflict that anyone concerned with both reason and faith cannot long avoid. Her main concern is with a human being Andrew Connington and the human problem belief and unbelief. 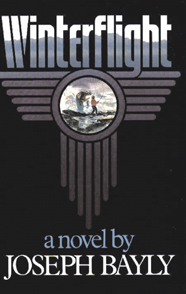 "Perhaps the most outstanding Christian novel I have read," wrote Dr. Frank E. Gaebelein. J. Tangelder in Christian Renewal: This book begins with the story of Polle and Henderkien Eijsinga, great-grandparents of the author. 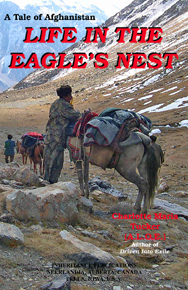 The author also tells about her own experiences growing up in a new country, the people she came to know, as well as the tales and happenings she heard or read about. Each story is inspirational and Christ-centered and shows how God guides and sustains His people in times of joy, dangers, and sorrow. The poems which precede each chapter show the work of a God-fearing craftsman. A welcome addition to one's personal or church library. A compelling story of the indomitable pioneer spirit of women the unsung heroines of the American West.